With the Phantom 3 4K, you're shooting 4K video at up to 30 frames per second and capturing 12 megapixel photos that look crisper and cleaner than ever. *Maximum flight distance may vary with environmental conditions and local regulations. With DJI's industry-standard gimbal stabilization technology, your camera is help perfectly stable no matter how you fly. This 3-axis gimbal makes complex shots and hovering for long exposure photos easy. 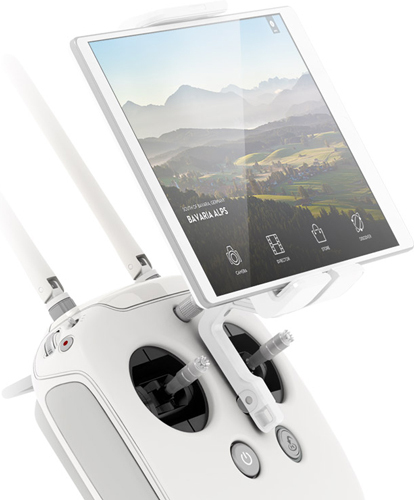 Your Phantom 3 4K fits into your life and makes flying remarkably intuitive and easy. From takeoff to landing, it's completely under your control, responding to your commands while automatically handling the most complex aspects of safe, stable flight. A unique Beginner Mode helps you learn how to fly in a safe, limited area. Your Phantom 3 4K can be set to fly only within a given distance and altitude from you, protecting your Phantom and making it automatically stay inside your desired limits. Automatic elements of your Phantom 3 4K's intelligent flight system help you fly and are available at the touch of a button. 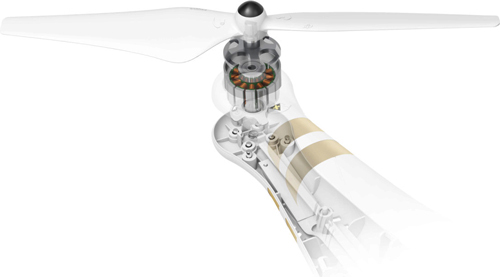 Auto-Takeoff: With one tap in the DJI GO app, your Phantom 3 will turn on its motors and rise to a pre-set height. It will then hover perfectly in place until you direct it where to go. Fly indoors, low to the ground, and in GPS-free areas with Vision Positioning technology. Visual and ultrasonic sensors scan the ground beneath your Phantom 3 4K for patterns, enabling it to identify its position and move accurately. Fly up to 25 minutes on a single charge. The patented DJI Intelligent Flight Battery continuously tells you exactly how long you can continue flying, based on how far and at what altitude you are, and it alerts you when it's time to head back. This information is treamed live to the GO app on your mobile device.